Franklinton Cycle Works Bike Kitchen is now open! 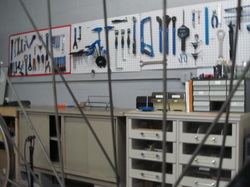 We have four complete work stations and some master tools for most of your bicycle problems. On Monday nights and Saturdays, folks can bring in their bike and use the set of community tools to work on their own ride. We will have a few volunteer mechanics and books to help you along in your repairs. We collect used bicycles and bicycle parts that will be available at a minor cost. The world of bicycle parts however is a big one. Hopefully are used parts will help in your repair but we will not have every part to fix every bike. We hope to make the shop more accessible as soon as possible. This is largely dependent on volunteers, so if you like what is happening at FCW and want to see more hours, consider volunteering. 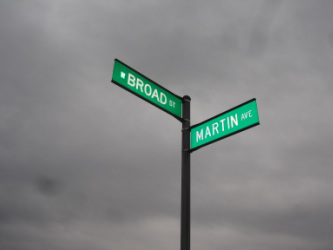 We are located on the corner of west Broad st. and Martin Ave. just a few miles west of Downtown.